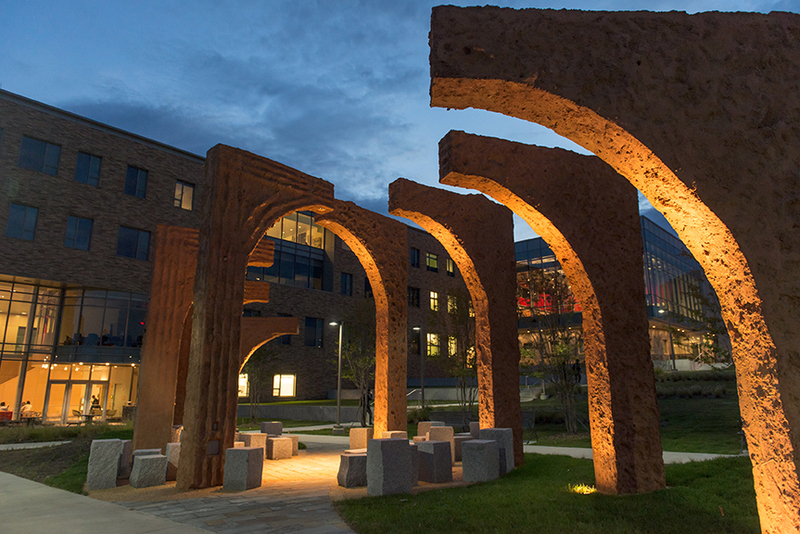 UMBC, in partnership with the Maryland State Arts Council, is very pleased to announce the selection of renowned artist Thomas Sayre to create a public art installation at the new Performing Arts and Humanities Building (PAHB). From the more than 140 qualified proposals, three finalists were invited to campus to present their site-specific design concept to the Principal Selection Committee. 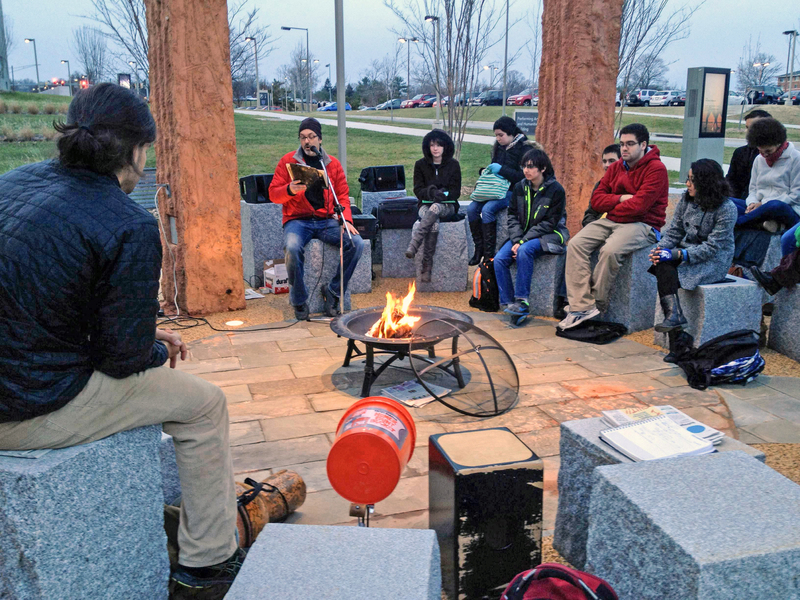 After much reflection and discussion, the committee voted Sayre’s concept as the most reflective of UMBC’s vision of a public art installation that invites community engagement, reflects the passage of time, and embraces the values and culture of UMBC. Thomas Sayre has designed and built public art projects all over the world and has participated in design teams for civic, educational and museum buildings. Along with architect Steve Schuster, Sayre is a founding principal in the multi-disciplinary design firm Clearscapes, based in Raleigh, North Carolina. Sayre believes that art will only work when disparate opinions come together through collaboration to form a coherent vision. Joseph Beuys (1921-1986) was a German performance artist who used his roles as a teacher, artist, and activist to push the boundaries of what is considered art. Rooted firmly in the notion that “everyone is an artist,” Beuys formulated the notion of social sculpture: that all of society is an ongoing total work of art. Beuys’ sculpture project, 7000 Oaks, was initiated in Baltimore in 2000. Over 20 organizations partnered to plant over 350 trees and stones with the help of over 500 individuals. The sculpture can be found in Patterson Park, Carroll Park, Wyman Park Dell, and at the Joseph Beuys Sculpture Park at UMBC. At the park, viewers are invited to write or sketch in an empty journal that remains on a large wooden bench. Each journal has been archived and recorded online, and may be accessed here. A more comprehensive description of the project can be found at the Center for Art Design and Visual Culture website.